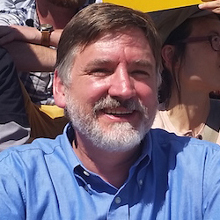 Arn Pearson serves as a PFAW senior fellow focusing on anti-corruption efforts and campaigns to reduce the influence of big money in politics. He has worked for more than 20 years developing federal and state policy and legal strategies around campaign finance reform, government ethics, corporate accountability, and tax reform. His expertise has been drawn upon in outlets such as NBC, Politico, and state and local outlets across the country. In addition to his role as PFAW senior fellow, Pearson serves as general counsel and policy advisor for the Center for Media and Democracy. He previously served as the vice president for policy and litigation at Common Cause, where he helped draft the Democracy For All amendment to overturn Citizens United that continues to build support among members of Congress.